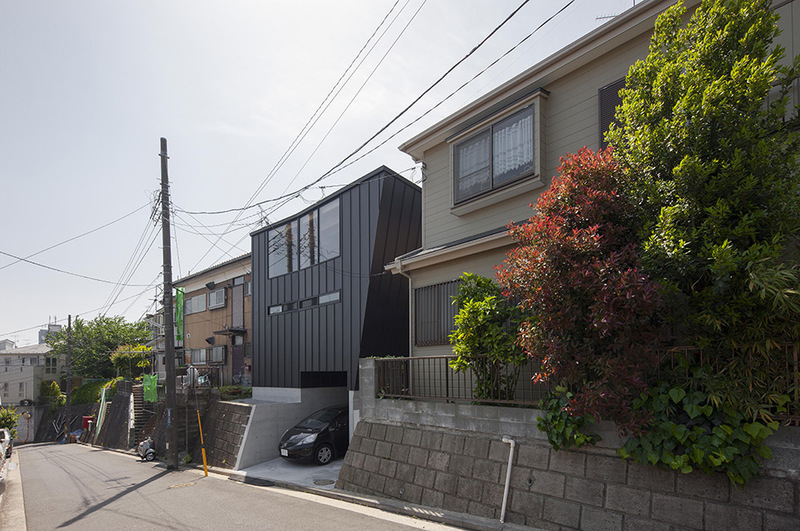 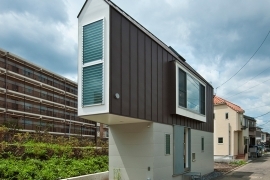 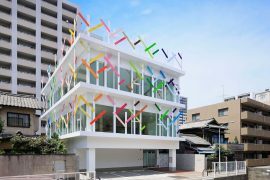 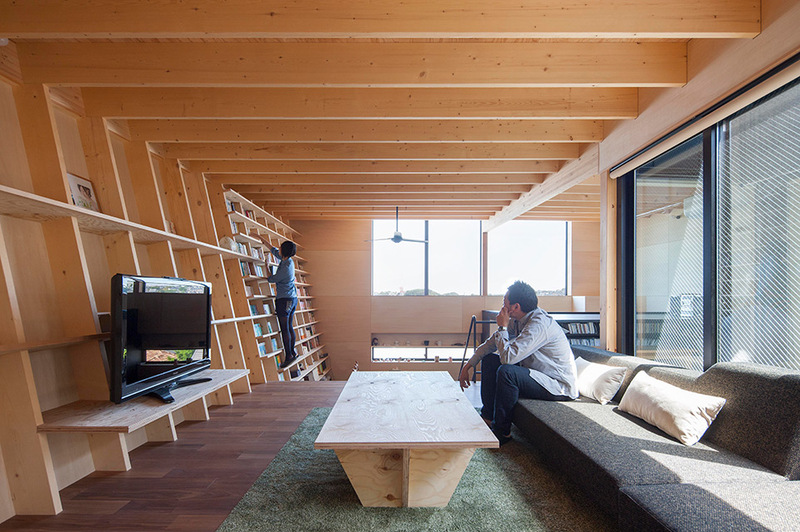 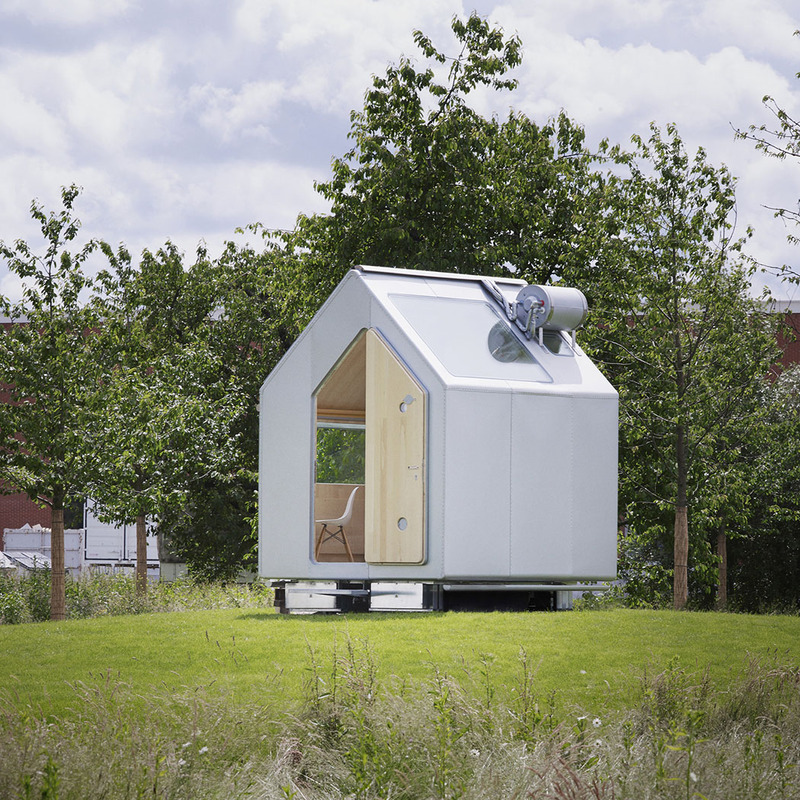 This compact house designed by the Japanese architecture firm Shinsuke Fujii Architects is located in Yokohama, Japan. 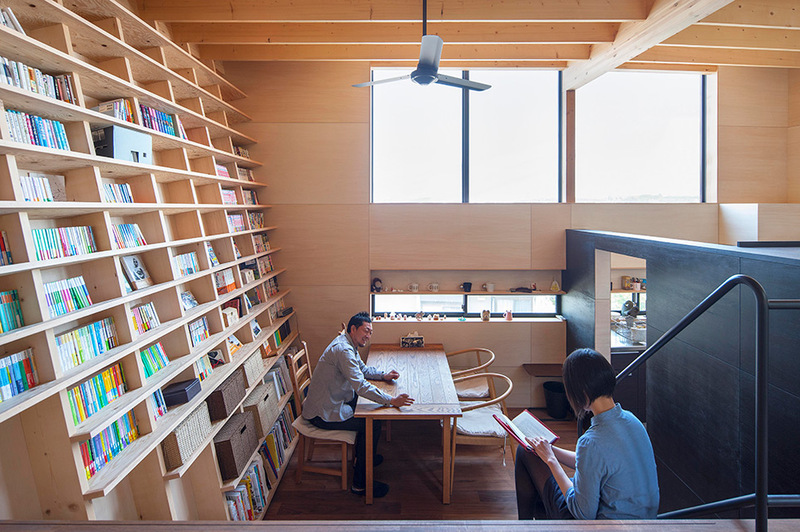 Titled the Bookshelf House, it features an oblique wall that acts as an inclined built-in bookcase. 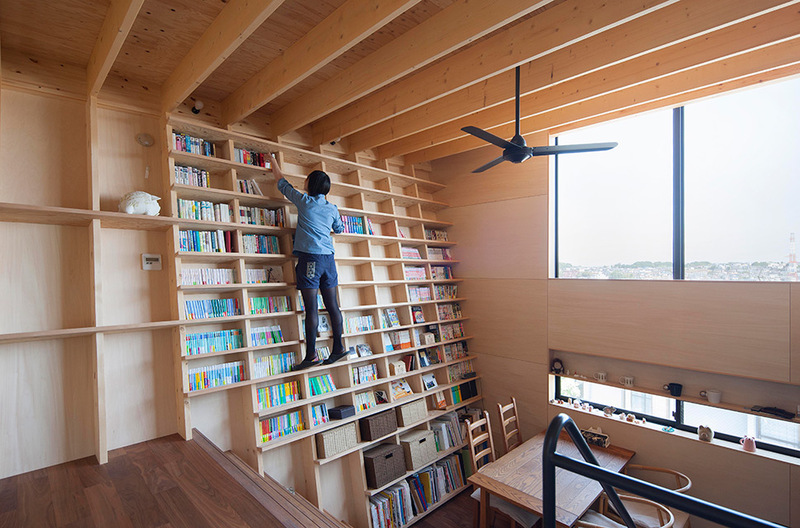 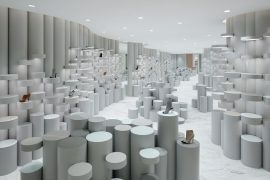 The inclination of the wall allows everyone to climb without a ladder so that books on high shelves can be easily taken out and put back in. 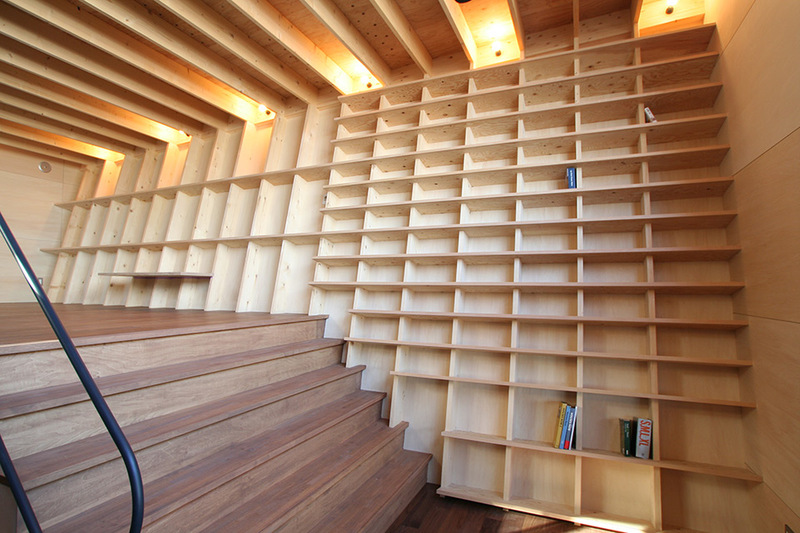 At the same time, this solution prevents the books from falling down from the shelves if an earthquake occurs. 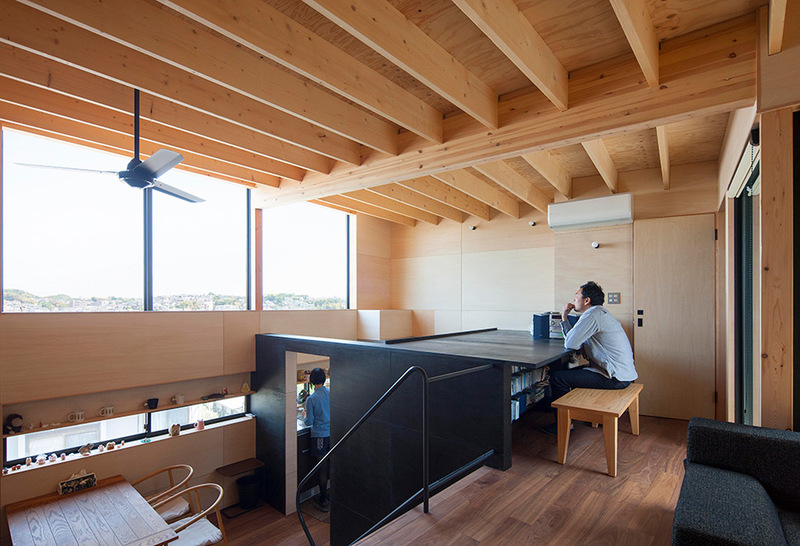 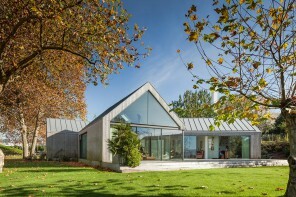 The structure of the house is a timber frame that sits on a concrete base. 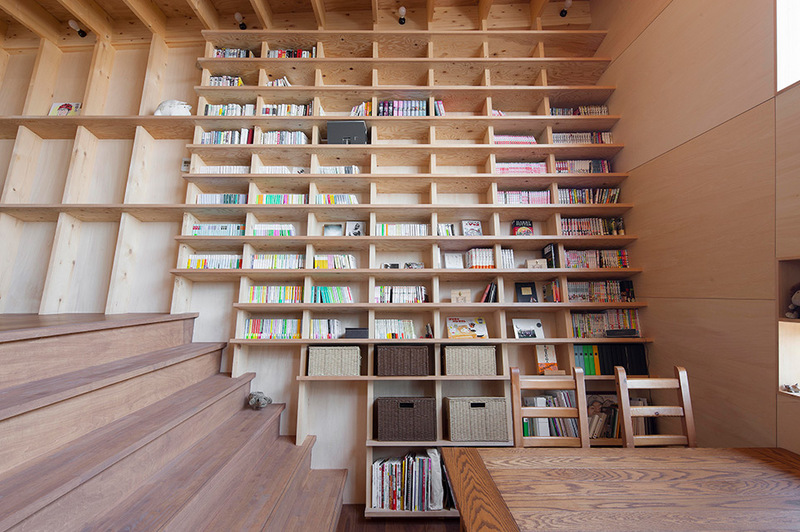 The bookcase wall, which spans both levels of the house, is not only a piece of furniture but also a part of the frame. 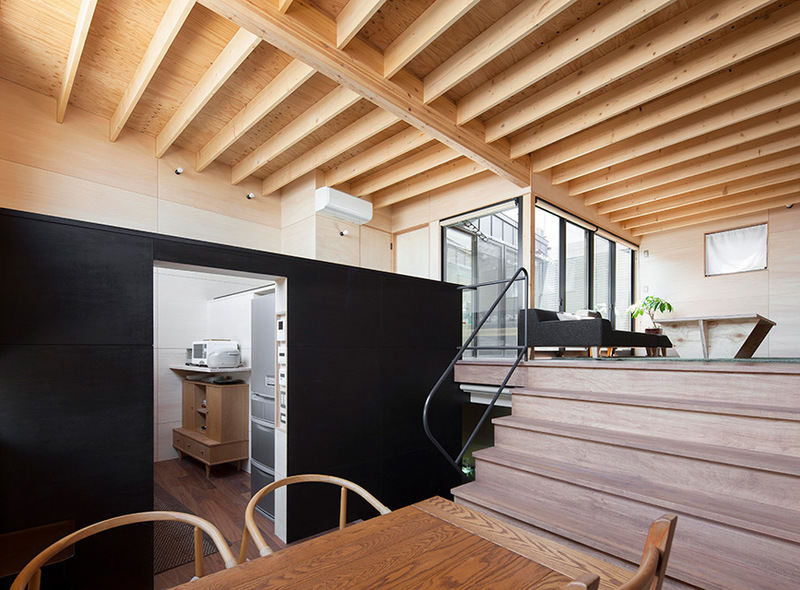 The vertical planks are used as pillars that support the beams and roof while the horizontal shelves prevent their buckling. 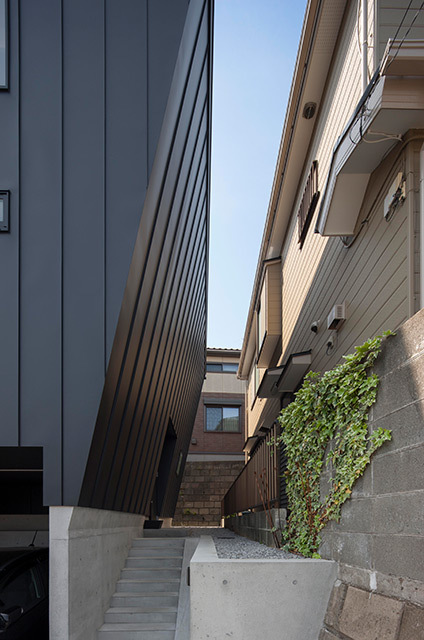 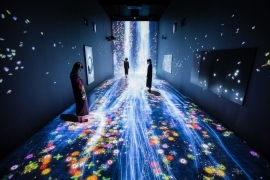 From outside of the house, the oblique wall acts as an awning that shelters the entrance from rains that are frequent in this region of Japan. 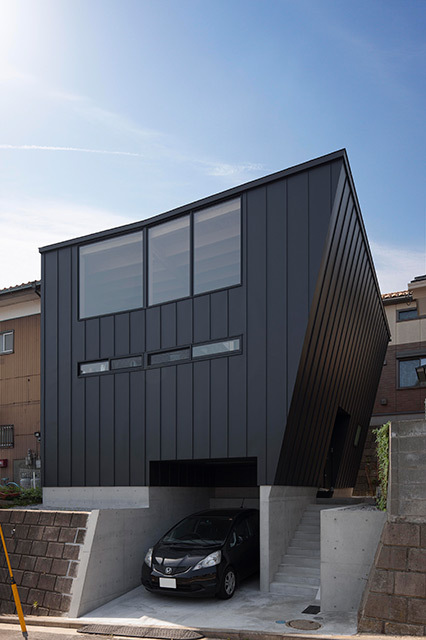 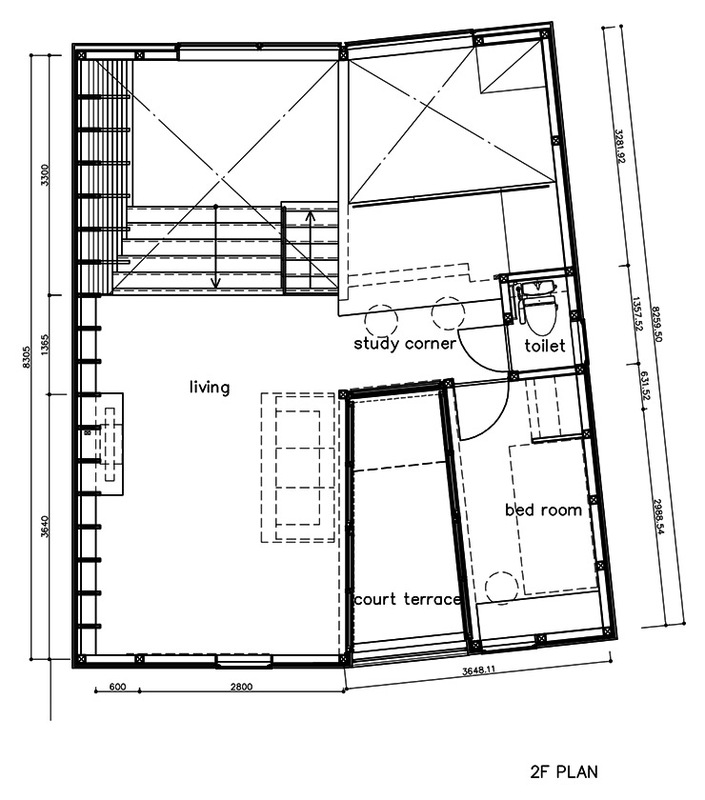 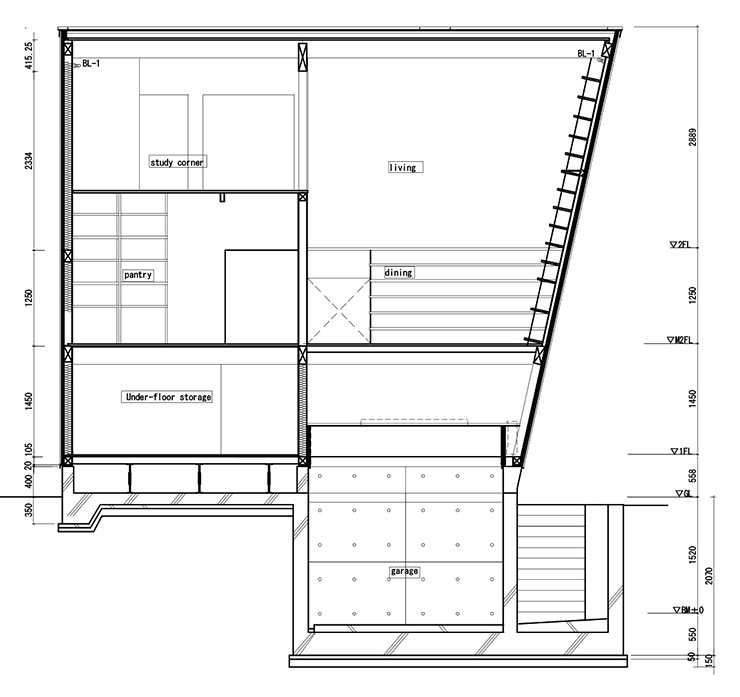 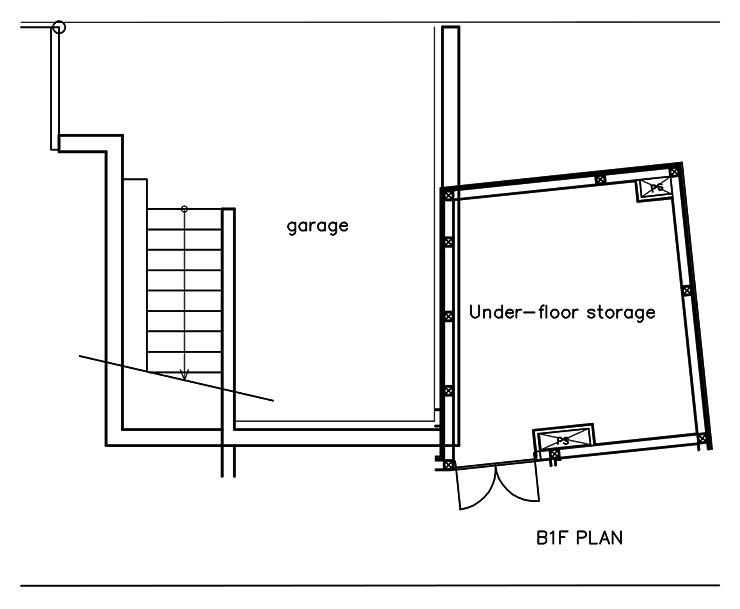 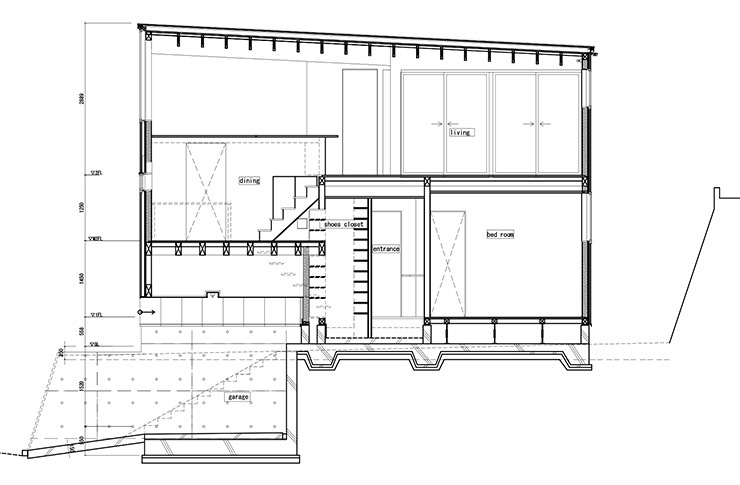 The base of the house is made of reinforced concrete and comprise a small open garage for one car and a storage room. 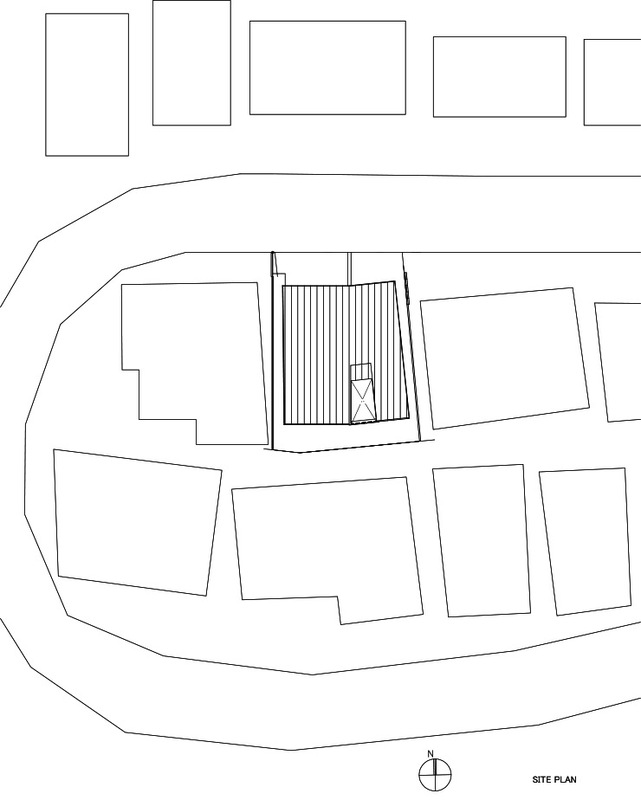 The entrance is located on the first floor and connected with a street by an open stair.